It’s that time of year again when the Scandinavian Film Festival takes place in Los Angeles over two weekends (Jan 9 &10 and 23 & 24). 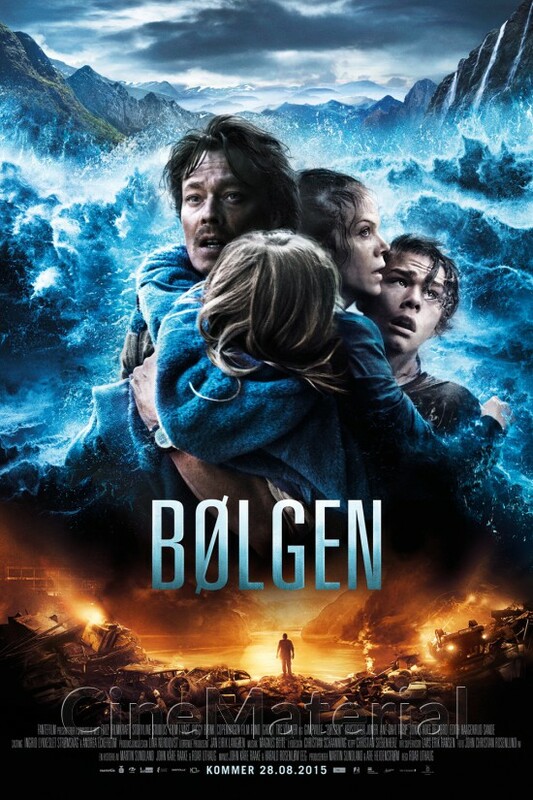 There were not a lot Norwegian films on the schedule this year, only the documentary Maiko: Dancing Girl (about a Japanese girl who becomes a star ballerina at the Norwegian National Ballet) and thriller/disaster movie Bølgen (The Wave). Luckily, The Wave fit into my schedule the first weekend, and I was even able to take 11-year-old Sonny. I had heard about The Wave before news of its participation in the festival. It had done very well in Norway, and Magnolia Pictures had bought U.S. rights to it and is aiming for an early 2016 U.S. release. Being a disaster movie, and in particular involving a family with younger kids, it wasn’t really my ideal movie to watch. But it was from Norway, in Norwegian, and took place in Norway. I decided I could handle it. I researched whether it would be appropriate for an almost 12-year-old. In Norway, it was rated “15”, which means it’s ok for 15-year-olds and also 12-year-olds and older if accompanied by an adult. I showed Sonny the trailer (which actually included a lot) and he said he was interested in seeing it and that he’d be able to handle it. We arrived at the Writers Guild Theater in Beverly Hills with not as much time to spare I would have liked, but luckily they were running a little late. We had time to get some Norwegian waffles, which was a totally unexpected but a very pleasant surprise. We actually smelled them upon arrival when we were buying tickets. Maybe they’ve offered waffles in the past, but this was my first time noticing it. 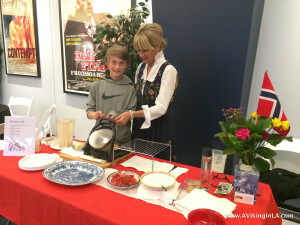 Ida, dressed in a lovely traditional bunad, even offered Sonny the opportunity to go behind the table to help with our waffle. Ida was busy. We had to wait patiently for our waffle. Each customer got a waffle hot off the iron, which is the best kind. Assorted pastries were also available, most likely from Copenhagen Pastry. They were tempting but we had to rush into the theater. We both enjoyed the movie. The setting was beautiful—how can you beat Geiranger Fjord—until the wave hit. For me, the most difficult and disturbing parts were after the wave destroyed the town. It was an intense movie, but I think it was harder for me to watch since I was a mother who could relate in some ways to what the mother in the movie was going through. Sonny just watched it for what it was, an intense movie. I won’t reveal too much since the movie is going to be released in the U.S. sometime relatively soon and you may be interested in seeing it. 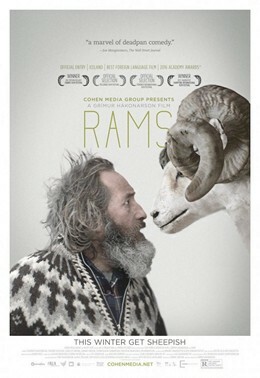 Usually, I just stick to Norwegian films, but this year I ventured out beyond my comfort zone and saw Rams from Iceland as well. My husband and I have been to Reykjavik, Iceland. It’s a beautiful country. I read that this film takes place in a remote Icelandic farming valley. I was intrigued and went with the hopes of seeing some beautiful scenery and getting a glimpse of life in such a community. The movie was enjoyable. The story of the two stubborn brothers and their relationship with their sheep was amusing and touching. The ending was unexpected. What I especially enjoyed was the introduction to the movie by the producer and director. It’s always interesting to hear stories of what goes on behind the scenes of a movie. 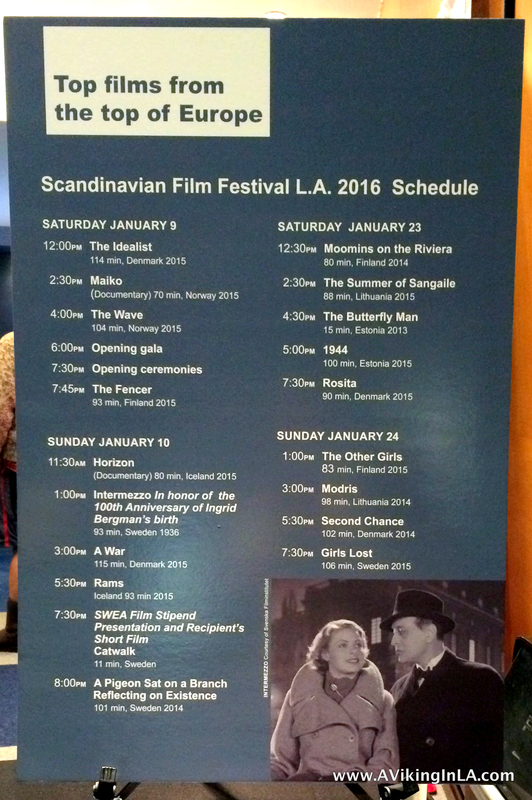 The festival continues the weekend of January 23 and 24 in Beverly Hills with films from Finland, Lithuania, Estonia, Denmark, Latvia, and Sweden. 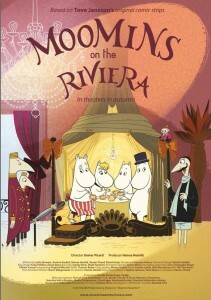 There’s even a children’s movie this year, Finland’s Moomins on the Riviera, a hand-drawn animation based on beloved Finnish comic strips by Tove Jansson that have become popular all over Europe. It will be screened Saturday, January 23, at 12:30pm. It’s not too late to catch something out of the ordinary and to expand your cinematic horizons. Venture out and see some of the “top films from the top of Europe” next weekend. See the festival schedule with film descriptions here.